Dhanush presents Siva Karthikeyan's Kakki Sattai in the superhit Ethir Neechal combo of director RS Durail Senthil Kumar has hit the screens worldwide today [Feb 27] among much fan fare. Varathapadatha Valibar Sangam lead pair Siva and Sri Divya starred Kakki Sattai is released with rave reviews from all parts of the world. For the first time Siva has played a cop and he seems promising in the role. Anirudh Ravichander's charbuster songs are reported to have colourfully pictured in the movie, while director Durai Senthil Kumar is said to have made many compromises to woo Siva Karthikeyan fans. The movie opens with generally average reviews from critics. We bring you the one-lines of the reviews from critics. 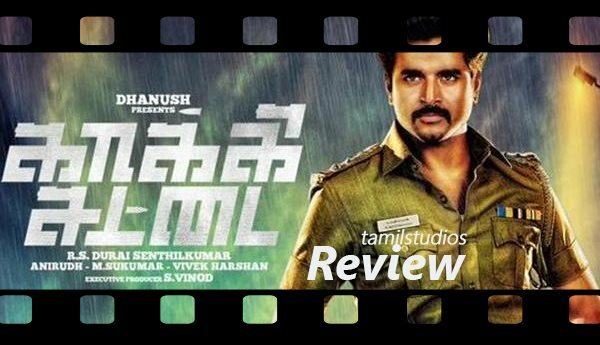 Sivakarthikeyan has arrived as an action hero with Kaaki Sattai. Don't miss it.